T.R. Mosmann, Properties and Functions of Interleukin-10. S.M. Lewis, The Mechanism of V(D)J Joining: Lessons from Molecular, Immunological, and Comparative Analyses. S.J. Anderson, S.D. Levin, and R.M. Perlmutter, Involvement of the Protein Tyrosine Kinase p56lck in T Cell Signaling and Thymocyte Development. K.L. Knight and M.A. Crane, Generating the Antibody Repertoire in Rabbit. A. Gaur and C.G. 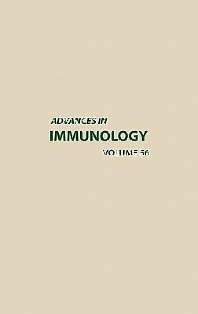 Fathman, Immunotherapeutic Strategies Directed at the Trimolecular Complex. F.D. Moore, Jr., Therapeutic Regulation of the Complement System in Acute Injury States. G.A. Pietersz, A. Rowland, M.J. Smyth, and I.F.C. McKenzie, Chemoimmunoconjugates for the Treatment of Cancer. R. Winchester, The Molecular Basis of Susceptibility to Rheumatoid Arthritis. P.E. Neiman, Retrovirus-Induced B Cell Neoplasia in the Bursa of Fabricus. Subject Index. Researchers in immunology, cell and molecular biology, virology, and medicine.